We’ve had a lot of publications over the years. Here are some of the most fun + free downloads. The Jamais Vu Papers was first published by Harmony Books/Crown in 1991. Although soon out of print, JVP maintained a following and by 2010 we were getting complaints from readers who couldn’t find copies. Our new edition won recognition for visionary fiction from the International Book Awards and Eric Hoffer awards, and was also shortlisted for Hoffer’s Montaigne Medal. A lucid-waking adventure, our most-often-quoted book. The fictional cast of Jamais Vu includes a bored entity called Llixgrijb, the celebrated neuroscientist Imogene Savonarola, a secret society known as The Ancient Order of the Brothers and Sisters of Thaumaturgy, a cut-rate Venice Beach shaman, a deranged deconstructionist scholar, and the elderly ladies of The Elmblight, Ohio, Book Club and Sewing Circle, who in the course of reading The Jamais Vu Papers manage to become a part of the story, threatening to disrupt the fabric of reality. Real-world personalities who take part in the story: Daniel C. Dennett, Tom Robbins, Fred Alan Wolf, Paul Krassner, John Brockman, Timothy Leary, Fred Chappell, María De Céspedes, Jamake Highwater. Jamais Vu Views contains all the essays from JVP (but not the artwork) plus others that were only published in our newsletter: Stewart Brand, Jean Houston, Russell Jacoby, Charles Johnston, Russell Targ, Robert Theobald. Available in Kindle and in print. We occasionally contribute to other publications—ranging from the Storytelling Encyclopedia to several editions of Uncle John’s Bathroom Reader. Our stories and essays have appeared in the online literary magazine Sol and the Reality Club anthologies Creativity and Speculations. 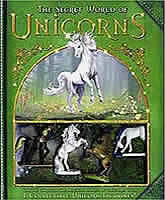 We’ve also written books for young readers—for various publishers and for our own ChironBooks imprint. All of our ChironBooks publications have won one or more awards. Our YA historical novel, Anna’s World, has won four and is also loved by many adults. Our YA and tween books are available in paperback and in all ebook formats. For educational publishers—we’ve authored, edited, or contributed to more than 60 books for reading levels 2-adult. They range from original fiction to well-researched history to parallel texts and commentary for a wide range of literary selections: Beowulf, The Canterbury Tales, prose and poetry by Shakespeare, Milton, Johnathan Swift, and many others. Also see our plays page. We launched our first collaborative project in 1987, when we were both on the staff of Marilyn Ferguson’s newsletter Brain/Mind Bulletin. We proposed a book based on the Bulletin, organized, edited, updated, and commented on published research, and also collected and created related exercises and sidebars. We even did the page layout for PragMagic. 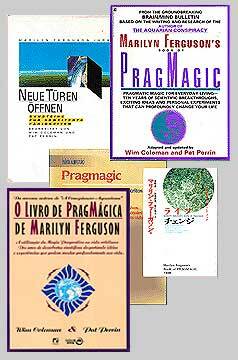 Marilyn Ferguson’s Book of PragMagic (Pocket Books, 1990) was also published in Spanish, Portuguese, German, and Japanese editions. Where can I buy books 2 and 3 of the Wand Bearer’s Trilogy? This story has expanded quite a bit and we’re still working on it. We’re going to put up an excerpt on this blog soon, so you can check back for that. We really appreciate your interest and your query.